Learn the basics of user setup, group and schedule setup, adding an integration, and creating a manual alert. From the menu bar, click on Users. From the Users page, click on Add Users in the top right corner. Enter a username and email for the user. Then, enter the first and last name. Select the desired role for the user. Each user must have a unique user name and an official email address. After clicking Add, a login link will be sent to the user’s official email address so they may reset their password. On the Users page, click on the desired user. On the User Management page, click on Add Contact Method in the bottom, right-hand corner. Add Contact Detail based on the type of contact type. For example, for a Email-Official Contact Type, the Contact Detail can be a professional email. From the menu bar, click on Groups & Schedules. On the Groups & Schedules page, click on Add Group in the top, right-hand corner. Click Groups & Schedules in the menu bar. On the Groups & Schedules Management page, in the Members & Schedules tab, click Add Members. Select the desired, available users and use the right arrow to move them into the selected members column. A group can have no schedules – in which case the basic user member role sequence is used for escalations or a group can have one or more schedules. Click here to learn more about groups and schedules. AlertOps comes with a number of pre-built Integrations for various monitoring and help desk systems. Below are instructions to get you up and running quickly with a pre-built email or a web integration. Click Integrations in the menu-bar, and select Inbound Integrations. 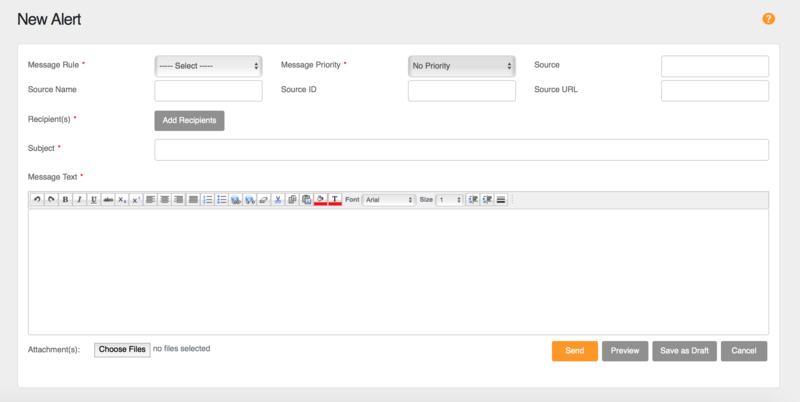 From the Inbound Integrations page, click Email OR Web API. Then click Add Integration in the top right. Select the desired integration from the Integration Template dropdown menu. Add Recipient Users and/or Recipient Groups. Click here to learn more about integrations.